The South Australian Government has announced plans to revamp the Public Trustee’s “no-upfront cost” legal Will service, a move that could slash access to legal Wills for thousands of South Australians. Under plans reported in InDaily, the Public Trustee’s deferred cost Will service would be limited to concession card holders – about half their current annual client base. The service is an important one, providing underprivileged South Australians with a legal Will, despite their inability to afford a lawyer. The scheme works by deferring the cost of the creating the Will until after death, when the Public Trustee recoups their costs from the deceased estate. Like many government services, it’s important to ensure those that need it most have access first to reduce the strain on taxpayers. That’s why the idea of limiting that service to those than can least afford it has merit. There is of course the danger that the move will push more people into using a DIY Will Kit. Never do this, lawyers love DIY Wills because they create more problems than they solve. The simple truth is, most people can afford a Will, they just don’t see the value. 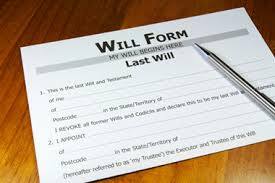 A legal will is perhaps the most important legal document you’ll ever sign. They are an investment, protect your children’s inheritance, and, when prepared by legal Will specialists like Welden & Coluccio Lawyers, provide insurance and peace of mind against uncertainty after your death. Still not convinced? Let’s see what else you could buy for the average price of a Welden & Coluccio Will. A four-night stay in a caravan park (off-peak season).